Tallies navigates an unfamiliar world on their confident self-titled debut album, which blends elements of shoegaze, dream pop, and surf rock into a fresh sound that’s all their own. The band was founded by singer and rhythm guitarist Sarah Cogan and lead guitarist Dylan Frankland, a couple who met in a sound engineering class while attending Algonquin College. Tallies’ sound was fully realized with the addition of Frankland’s friend from childhood rock camp, drummer Cian O’Neill, and bassist Stephen Pitman. 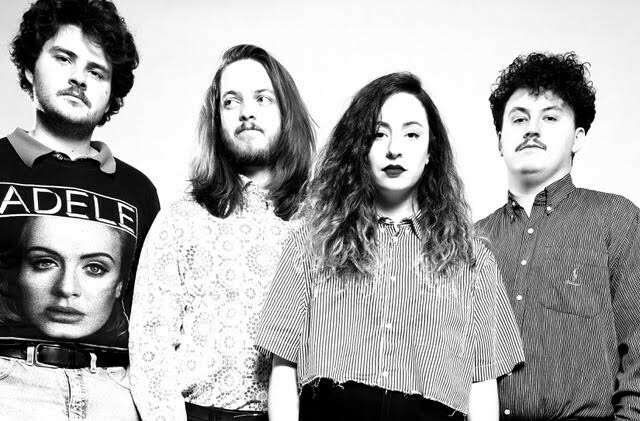 In a year since relocating to Toronto, the quartet have played shows with bands like Mudhoney, Hatchie, Sloan and fellow Toronto band and labelmates Weaves. Cogan started music lessons at a young age, learning simple piano melodies and guitar chords that she could sing and write lyrics over. Frankland has also been immersed in music for most of his life, growing up with a music-obsessed father who introduced him to greats like The Smiths, The Sundays, Aztec Camera, and Cocteau Twins. He subconsciously carried these influences into Tallies, which is evident in the Johnny Marr stylings of his guitar riffs and the Robin Guthrie-tinged shoegaze textures of his production. “While writing this album, we were listening to The Sundays Reading, Writing and Arithmetic a lot,” says Frankland, adding, “Harriet Wheeler’s soft-spokenly sweet melodies has a major influence on where Sarah sometimes takes her writing to. 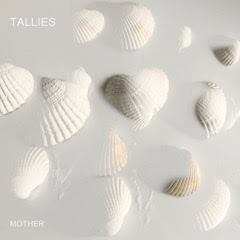 The album was co-produced by Frankland and Josh Korody at Toronto’s Candle Recordings, a hot spot where locals like Metz, Dilly Dally, Austra, and Weaves have made indie classics. It’s also where Frankland works as an engineer/producer. 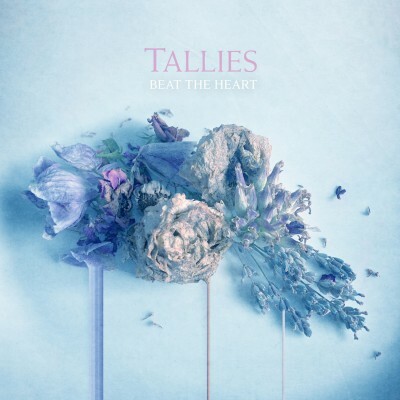 With upbeat percussion, melodic bass riffs, and magnetic guitar leads, Tallies puts one-of-a-kind melodies to the universal impact of adulthood hitting you square in the face. It’s the band’s soundtrack for adjustment and their outlet for making sense of the lessons they’ve learned throughout a year of change: “This year was very eye opening to how some people have made me feel new and uneasy emotions, and others have been so generous with kindness,” says Cogan. “I find it so interesting how people are so individual and different when we’re all built the same. I’ve grown from these interactions by recognizing them more and more everyday -- Learning how to adapt and understand what people’s intentions really are and what my sensitive mind is contorting."